Seattle chef Monica Dimas bit off more than she could chew when she expanded her mini restaurant empire to Portland. But what does it mean to just give up? Expansion is the order of the day in the world of Seattle restaurants. Got a place that works great? Replicate! Josh Henderson has his Great State Burgers, downtown and in Laurelhurst, with a Safeco Field location plus a couple more on the way. Ba Bar’s Vietnamese street food started in the Central District; another branch just opened in South Lake Union, with a University Village outpost in the works. Paseo’s famous sandwich may now be found in Fremont, Sodo and newly on Capitol Hill. Ethan Stowell Pizza Companies have been installed in Ballard, Frelard and SLU … so far. But what happens if you expand and the fresh outlet doesn’t seem to take? What if you don’t have the deep pockets of a restaurant group? What if a “pivot” — another local trend, where the same owner “reconcepts,” re-christens and reopens the space — doesn’t make sense? What if a 200-mile commute is involved? What happens if … you just give up? Seattle restaurateur Monica Dimas just did this deeply unfashionable thing. She’ll be closing down the new Portland location of her (great) Sunset Fried Chicken Sandwiches after less than six months. As she put it on Facebook, “I love you, Portland, but I’ve chosen Seattle.” Moreover, she explained, a second Seattle location of Sunset, planned for U Village, was not going to be happening. Dimas kept the post light. She’d be focusing her “energy and time back home,” making sure the Sunset here, as well as her spots Neon Taco and Tortas Condesa, were “doing awesome.” She said she was “super grateful” for the support she was getting, “especially from those who understand what a hard decision it is to close the shop. A little hiccup during some intense and successful growth is bound to happen!” She closed with a heart and praying hands; the photo was of her own hand, holding a fried chicken sandwich up high. But on social media, people said things like they “Understood 110%!” Josh Henderson wrote, “keep at it!! the road is never smooth, just keep … moving … forward!” One commenter simply said, “I’m suddenly hungry.” In person, the community’s been very supportive, too, Dimas says. She’s happily shocked. “Everybody was like, ‘Great! Now we have you all to ourselves!’ I didn’t think about it that way. I just thought it was like: ‘I failed.’” She curses in a way that’s clearly all-caps, then laughs a little incredulously. But before telling the world, she had to tell her business partner, Rachel Marshall. Capitol Hill’s Sunset is inside Marshall’s bar Rachel’s Ginger Beer; the same was true in Portland, and planned for University Village. Dimas’ Neon Taco is inside Marshall’s bar Nacho Borracho, and Marshall is also a partner in Tortas Condesa. “Rachel and I are friends, besides being business partners,” Dimas says. She was at sea, she says, as to how to navigate the situation. “I finally was like [expletive] it, I just have to be completely open and honest with her — I can’t do this. I don’t want to do this anymore.” This didn’t mean, Dimas is quick to point out, that she didn’t want to keep their other places up and running; quite the contrary. Over email, Marshall calls their existing three Seattle projects “great.” She’ll find another food purveyor for the Portland branch of Rachel’s Ginger Beer. She notes that the Portland opening involved “pretty frustrating construction delays (shocking)” and that the debut, when it finally happened, coincided with some epically terrible winter weather. “Lots of unfortunate circumstances that made things difficult for all of us,” she says. Dimas’ decision was not, she notes, a shock; she sounds understanding, sanguine. Then there was the drive. “Traffic is awful,” she says. The best-case scenario involved leaving Portland at 5:30 or 6 a.m. to hit clear roads, then arriving in Seattle just in time to, say, work at Neon Taco all day. “I think that’s when I started hitting a wall mentally — like this is not acceptable,” she says. So Dimas has elected to cut her losses, choosing her sanity over overextending herself for another year or two. “I just had to go that route,” she says. 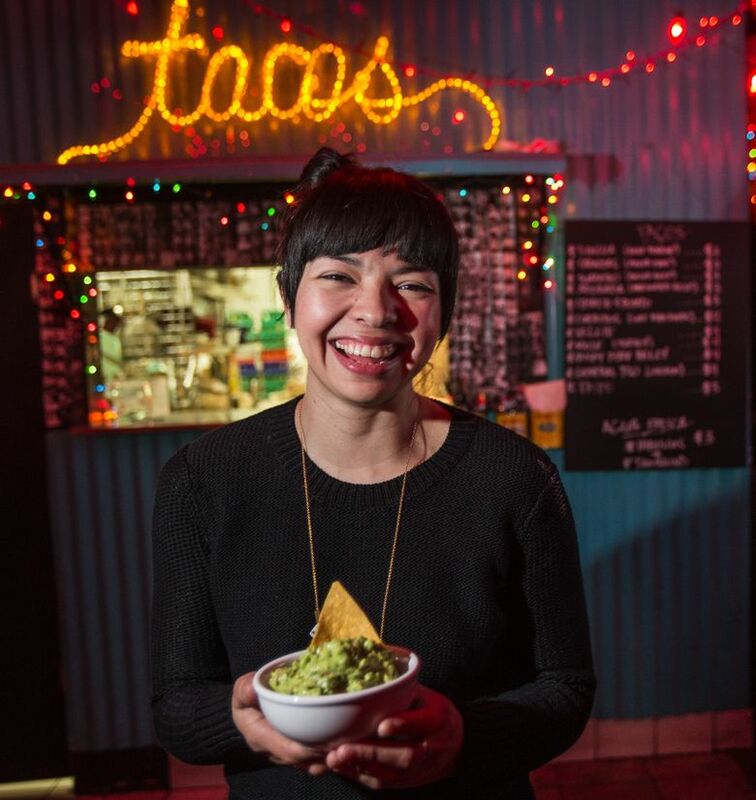 She didn’t want her pride to get in the way of keeping the original Sunset, Neon Taco and Tortas Condesa thriving. “My ego is not that big,” she says.